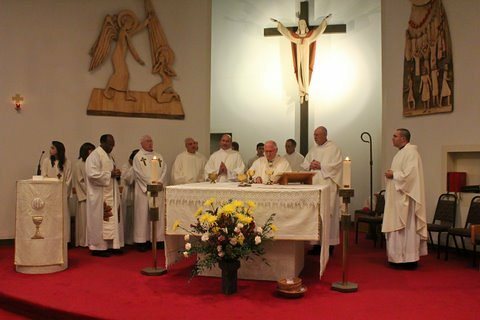 on Saturday October 23, 2010.
into the base of our main altar of the same day." WOW! BAM! not too bad, eh? after signing this note, after inserting the relics, some guy - a friend, who seemed to come out of nowhere, proceeded to close the hole in the base of the altar with cement. the whole celebration was absolutely beautiful! you must see the pictures, therefore go to Archbishop's blog - here, and here! peace out. ps. it's a close tie between Lord of the Rings and The Lion King. vote soon!